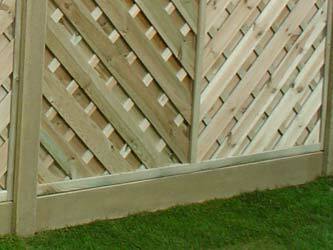 Designed to complement our Contintal Slotted Posts. Wherever possible it is advisable to fit Gravel Boards under your fence panels as this is the most vulnerable part of the fence. Made from reinforced concrete these items are designed to offer greater durability than timber.